In college, with a bit of free time and no hourly wage job for the first three years, I needed to find a way to make some extra cash. Finding interesting side hustles to make some beer money was easy. I found most of these jobs through my university job board or Craigslist. Searching Google for “medical research [college town]” is also a good way to start your search. Usually once you do one job for them, they'll have a mailing list you can sign up for so you can get alerts to future job opportunities. Many of the groups also have their own internal jobs board that you can sign up to access once you do one job for them. Most of these jobs pay cash and because they don't pay you more than $600/year, they don't take taxes out. Very nice. Also, many of these jobs were offered by universities and research groups, so even if you live in a small college town in Nowherestan, you can still probably find opportunities like this. I've never been big on donating blood. The needles, the feeling like your going to pass out: not for me. 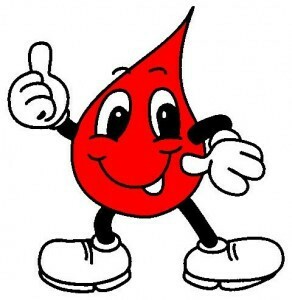 If I'm going to give up my blood, I'd like to be compensated for it some way. Must be the economist in me. Obviously, saving lives is very important, and donating to the Red Cross is an extremely valuable and good activity. But if you're interested in making a few bucks for just a few minutes of your time, you can donate blood in to medical research facilities. They often offer up to $50 per session and allow you to donate up to once every 2 months. The facility was always clean, the staff friendly, and there's lots of free food to munch on after you donate. It only took a few minutes and I'd be out the door with $50 cash in my pocket. You can donate every 2 months. I must have done at least a dozen medical research projects. Major universities and sometimes medical companies are always running experiments that need volunteers. Again, I found most of these on Craigslist or through my university job board. Some of the experiments involved me lying in an MRI machine for 2 hours! I didn't mind though, as it paid $25/hour. 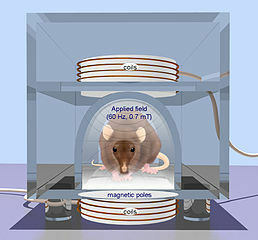 One of the experiments involved transcranial magnetic stimulation. This is a fancy way of saying that the researchers were able to control my arm muscles by stimulating my brain with very powerful magnets. It was an interesting study and the research may one day lead to new depression treatments. None of the experiments involved me taking drugs and all of them paid over $15/hour. While I never tried any, I looked into doing some sleep studies over the summer. These often paid several hundred dollars for only a few days of your time. Not bad for a starving college student! Not directly, as above in the MRI experiments. Almost all of these studies involved economic or behavioral research projects. Usually they were done in front of a computer or possibly in a group setting. They usually didn't pay as well, but sometimes there were bonuses associated with the tasks or games the researchers had you perform. At MIT, I participated in studies at the Behavioral Research Lab. Most of these studies involved studying group dynamics, communication, and (obviously) behavior. They usually paid between $10-15/hour and had bonuses attached to how well your group performed. Over at Harvard Business School, I participated in numerous studies at the Computer Lab for Experimental Research, or CLER. These studies were almost all about markets, interactions between buyers and sellers, and other economic topics. The interesting thing about the CLER studies were that the game that the researchers had you played often had nothing to do with what they were actually researching. For instance, they'd have you play a game in which you had to match pictures with descriptive words. The initial explanation was that they were researching people's reaction time to violent or non-violent images. But at the end of the study they would reveal that what they were actually researching was your level of unconscious racism, or homophobia, or something completely off the wall. It was always interesting participating in those HBS studies. This project involved me listening to recordings of people talking. They would say some phrase and then say the phrase again slightly differently, and I'd have to listen to the difference. Honestly, I didn't really understand the point of the study, but they paid me $10 for a half hour of work, so no complaints there! I found out about the research study through my university's job board. This occurred mainly at MIT. The company's would usually advertise something about free pizza and $20 for an hours of work if you would come out and beta test their online game or Facebook app. I found most of these through Craigslist. One of the companies was an online music game, I haven't seen anything like what I beta-tested, so maybe they didn't launch. So that's the 5 craziest ways I made some beer money in college. What are some ways you made a quick buck in college or side hustles that you pursue now?